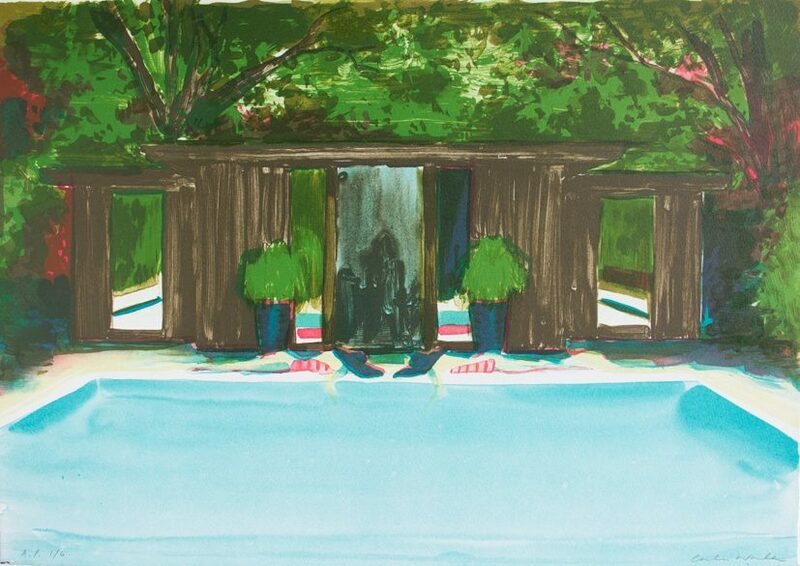 In her paintings and prints Caroline Walker creates a quiet and intimate female world. Her practice explores the relationship of women to domestic space, and reflects on a history of representing women in art. Some works include human beings, in others we are drawn to a space without figures, but which nonetheless suggests female presence. 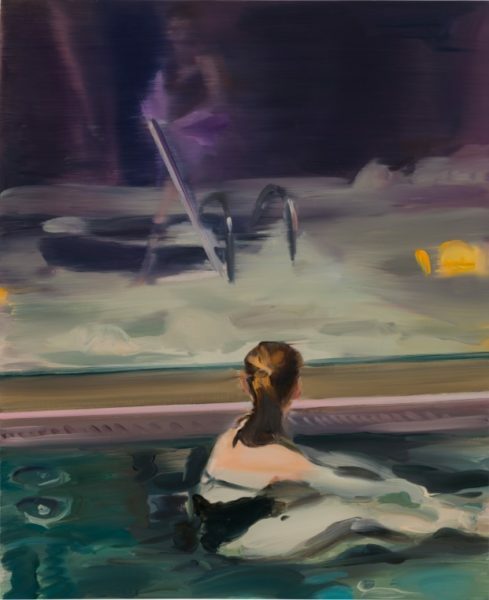 There is a filmic quality to her paintings in which she often creates the sense of being underwater, both physical and imagined. Walker takes numerous photographs of models in preparation for her paintings, and because of this ‘the eye of the camera’ seems to be inherent in her work. 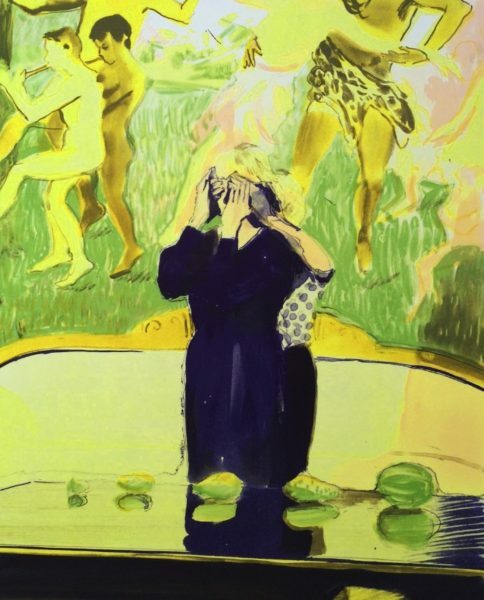 Mercer Art Gallery has recently acquired a suite of works by Caroline Walker that consists of two paintings Apparition, 2017 and Dandar Bathers, 2015 and her Initiations Portfolio of lithographs. The paintings, one on board, one on paper, present a blurred and distorted world as if seen through water. 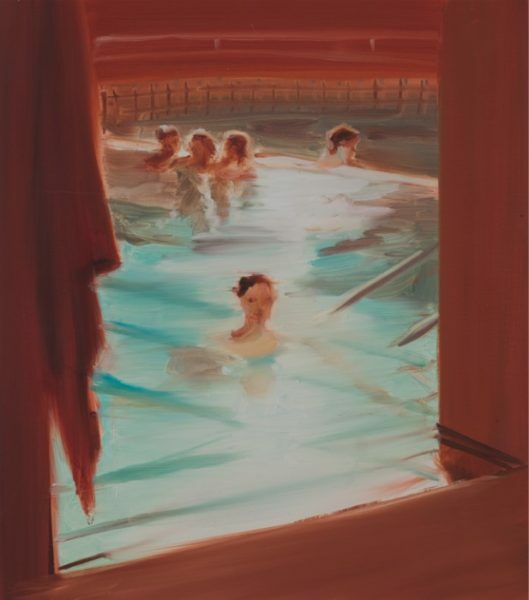 The female bather in Apparition turns away from the viewer, resembling a background figure in an Impressionist painting, whereas in Dandar Bathers the faces look back at us, just as they gazed into the artist’s camera. Walker chose Initiations as the title for her portfolio because the production process was new to her. She has described how lithography has made her explore the relationship between the intensity and variety of mark making and its outcomes in print, which were entirely different to working with oil paint. The Mercer Art Gallery is building up a significant representation of contemporary work in a number of specific areas, including women artists, connections with the town’s Spa history and the element of water. The Mercer’s collection is strong on female art, including Nina Hamnett, Mary Potter, Barbara Rae, Anne Redpath, Rose Garrard, Tacita Dean and Sarah Pickstone, all of which were presented by the Contemporary Art Society. Caroline Walker (b. 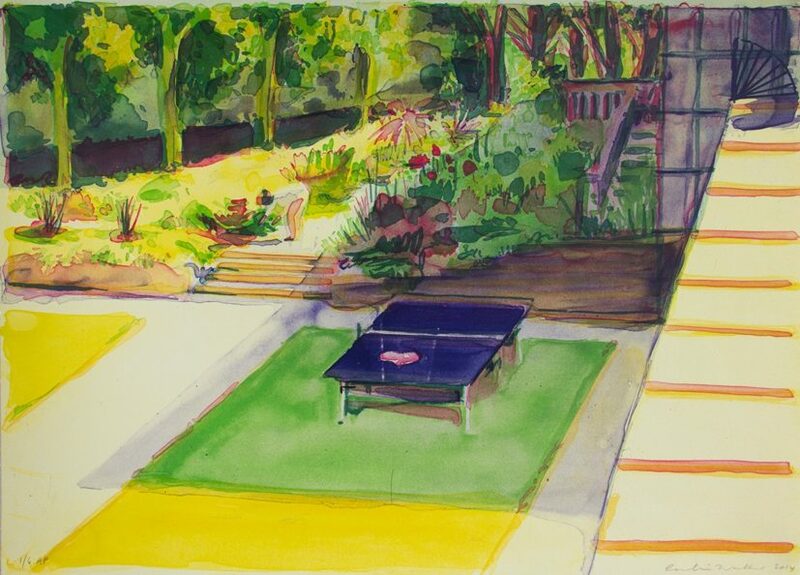 1982, Dunfermline, UK) currently lives and works in London, where she completed her MA at the Royal College of Art in 2009. Recent solo exhibitions include GRIMM, Amsterdam; Anat Ebgi, Los Angeles; Space K, Gwacheon; and Marlborough Fine Art, London. She has been included in numerous group shows including at Kettle’s Yard, Cambridge; Whitechapel Gallery, London; Milan Triennale; Fine Arts Society, London; and Walker Art Gallery, Liverpool. 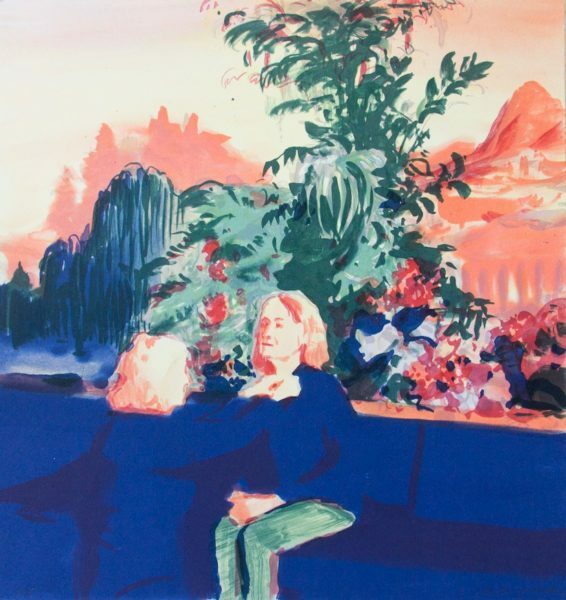 Caroline Walker’s painting Apparition, 2017 is currently on view at the Mercer Art Gallery, Harrogate, as part of the exhibition Picturing Women. Her work will also be on display at Kettle’s Yard from 11 April 2018 onward in the exhibition Actions. The image of the world can be different.